Zip Cardigan with a convertible collar that lays down or zips up as a stand-up funnel neck with drawstring. 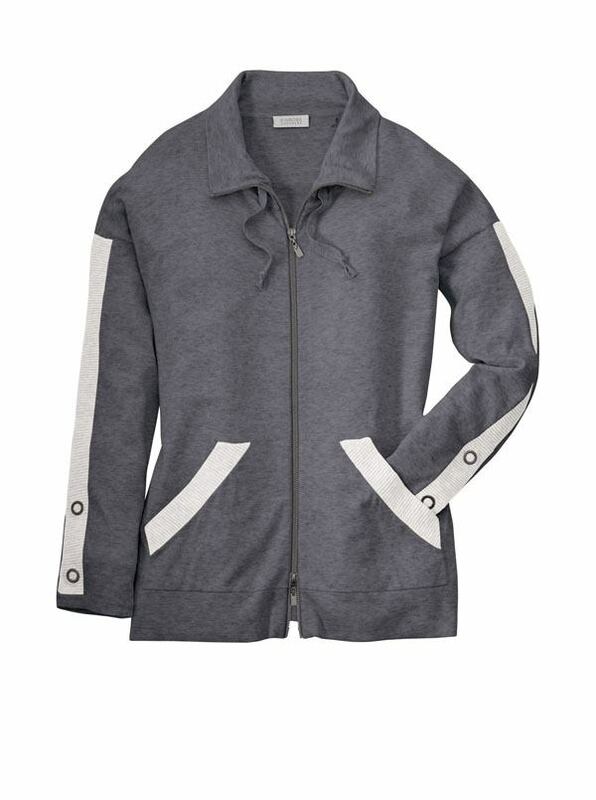 Knitted of 74% cotton/21% poly/5% cashmere, with two-way zip, kangaroo pockets, sleeve snaps. Imported.